What does a CS Analyst need to know? Experience working with large amounts of data (SQL, Python or R) and with survey and analysis tools (Wootric, Tableau, etc.) are must-haves, but the most important qualification is having taken that data and used it to produce actionable insights. Analysts are data story-tellers. They work with the numbers and provide context for them, creating reports to recommend strategic options and solutions. A listing for a CS Analyst position at Salesforce described one of the responsibilities as “assist in developing and delivering presentations for senior executives”, which requires strong public speaking and presentation skills. If a company struggles with data silos, CS Analysts must bridge the gap between teams. Not only must analysts overcome the technical issues of compatibility, but they need to possess strong internal communication skills to overcome any organizational walls that may be contributing to the data isolation. While CS Analysts own the quantitative facet of Success, a customer-centric mindset and empathy for the humans behind the numbers distinguish a great analyst from a good one. These soft skills help analysts frame their analysis to produce long-term, customer-centric solutions that support CSMs to retain customers. For some companies, the CS Analyst position can be a foot-in-the-door to Customer Success. Anthony Enrico, VP of Customer Success at Emailage, created the Analyst position because his “CSMs were being asked to spend enormous amounts of time compiling reports and the opportunity cost of spending time deepening relationships and loyalty with customers was too great.” As a leader within the organization, Anthony was also doing a lot of work with these reports, when his time was clearly better spent working on strategy, escalations with his CSMs, and focusing on new business opportunities with the company. So Anthony hired Bryan Mehrmann, now a CSM at Emailage. Bryan was originally brought on as the first CS Analyst to support the CSM team. Bryan compiled and sent out daily reports on customer usage trends to identify and correct anomalies as early as possible. He took detailed revenue projection reports and distilled them for the C-suite for their weekly use. Bryan took on more responsibilities as time went on. Working together, Anthony and Bryan shaped the role as it is today. As for how the position fits into the CS team, Analysts can be promoted to full CSMs after they’ve achieved a comprehensive understanding of the product, metric drivers, and relationships with Emailage’s customers. On the other hand, CSMs may choose to specialize in VoC data analysis like Customer Success Analyst Tim Dressel at Qualer. For him, there’s the usual collection and analysis of customer data in spreadsheets, but also a lot of room for innovation and collaboration. If he sees a red flag in the metrics, he leads investigations into those customer issues, working with his cross-functional team (and collaborating, at times, with Qualer’s Head of Technology) to make sure customers’ needs make it into the software they develop. 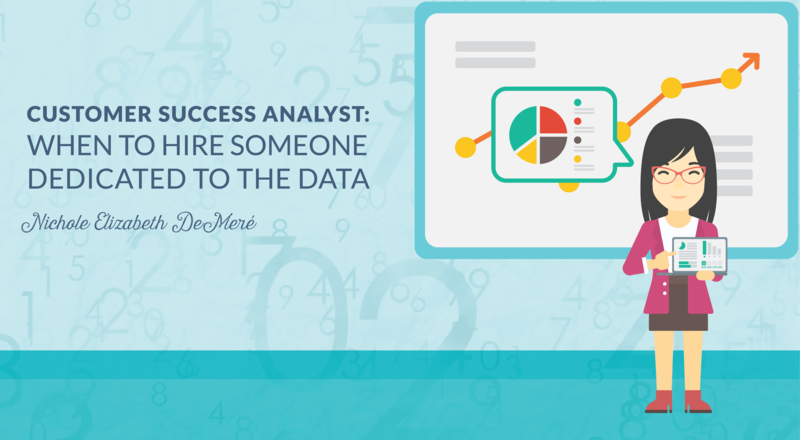 How do you know if you need a Customer Success Analyst on your team? Customer Success Managers are often being pulled in five different directions at once, and when that happens, they sacrifice time on one task for another. Not only does Customer Success provides data and insight crucial to their own day-to-day, but they are the go-to team for reports for the C-suite. Customer Success needs data. Data is at its core. So if your Customer Success team doesn’t have time to live and breathe data, you may be at the tipping point to bring in an analyst who can parse the numbers for you. This is especially important for scaling processes when anecdotal experiences have to give way to metrics. For some companies, bringing on an Analyst to Customer Success may happen by incorporating a company-wide business analyst into the team and transitioning them into a full-time Success Analyst. 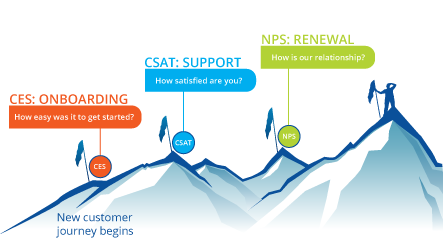 Depending on the company, Customer Success may not need an Analyst until their team is four or five CSMs. The most common theme among companies looking to hire a CS Analyst is major growth. 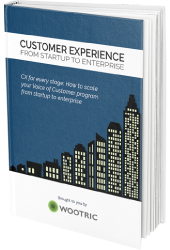 For example, a Wootric customer that recently started trading publicly, DocuSign, decided to add the Customer Success Analyst position as they accelerated their growth. 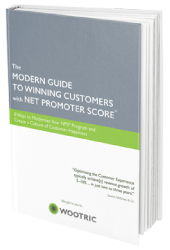 For Customer Success, the best way to prove value, whether it’s to senior management or to a customer, is with numbers and context. Having a role dedicated to creating robust reports to highlight value and propose inventive, data-backed solutions is an excellent way to help your current CSMs be the best that they can be at scale. 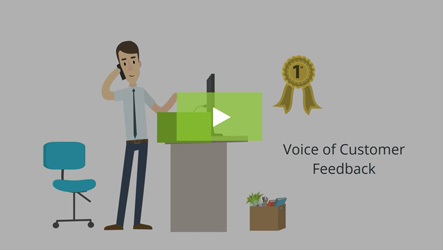 Automatically send customer feedback to Salesforce, Gainsight and Slack for quick action. 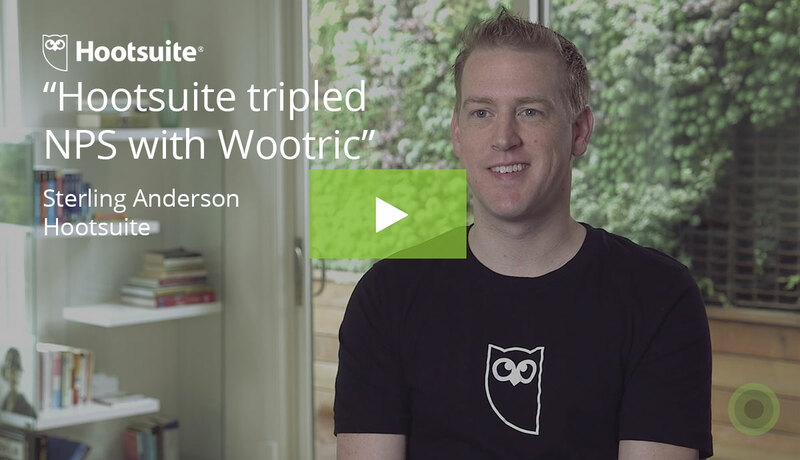 Learn about Wootric’s integrations.